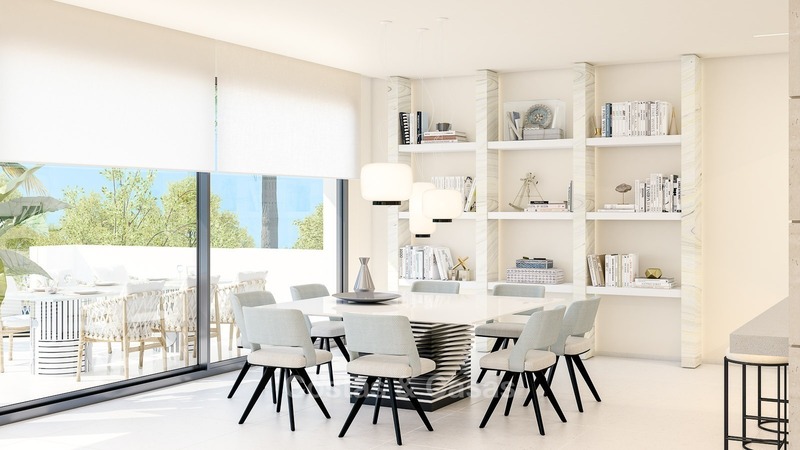 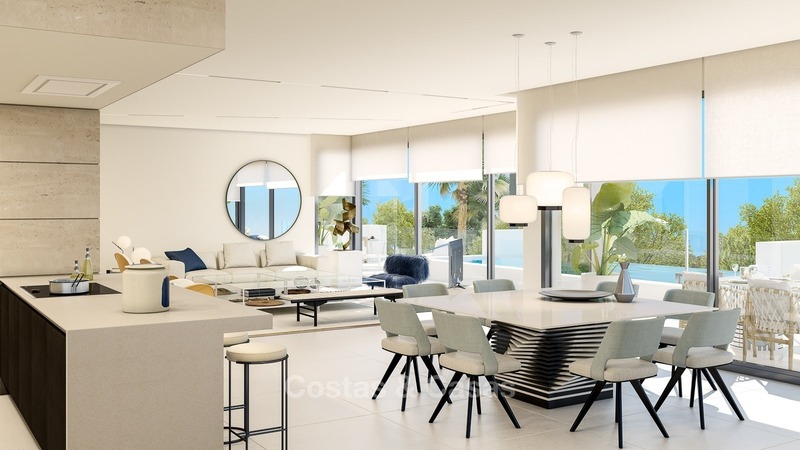 Set on a gently sloping plot of 18,000m2, providing stunning sea views, this exclusive development of 34 luxurious apartments and penthouses are located on The Golden Mile. 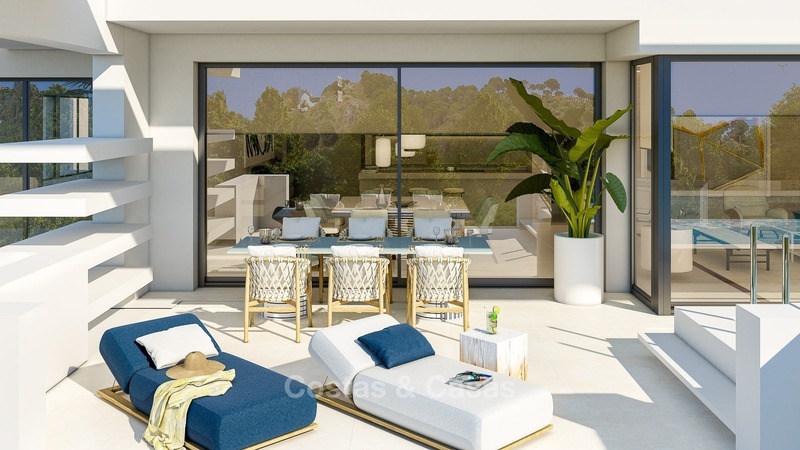 Located at a short walk from the famous Puente Romano Hotel which offers a good selection of fine dining, night clubs, tennis centre and of course one of the most elegant beach clubs in Marbella. 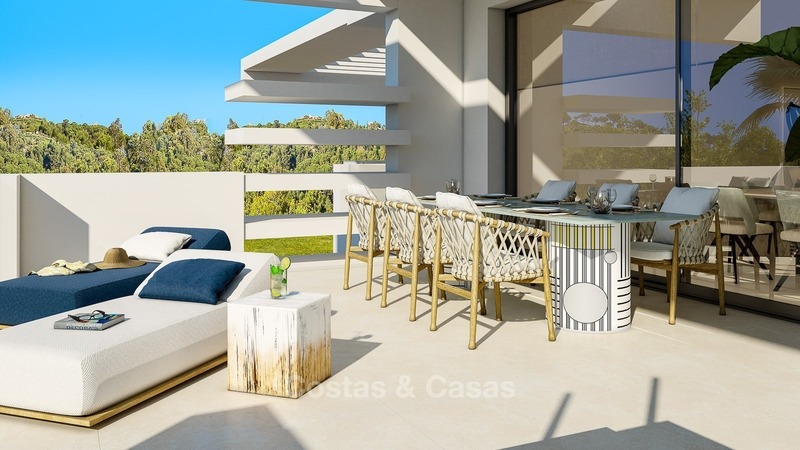 The resort is located between the charming old Town of Marbella and the exciting marina of Puerto Banús where you find a large selection of exclusive restaurants, nightclubs, beach clubs and boutiques. 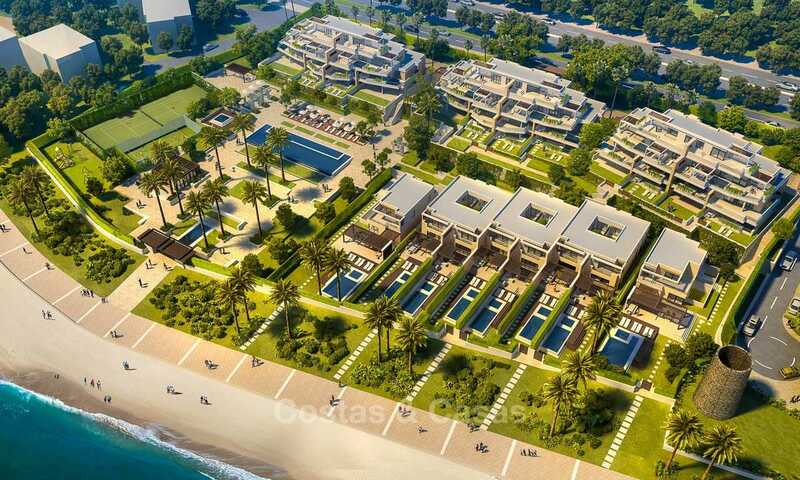 The resort has been designed to offer you the ultimate lifestyle including property management and on-site concierge services. 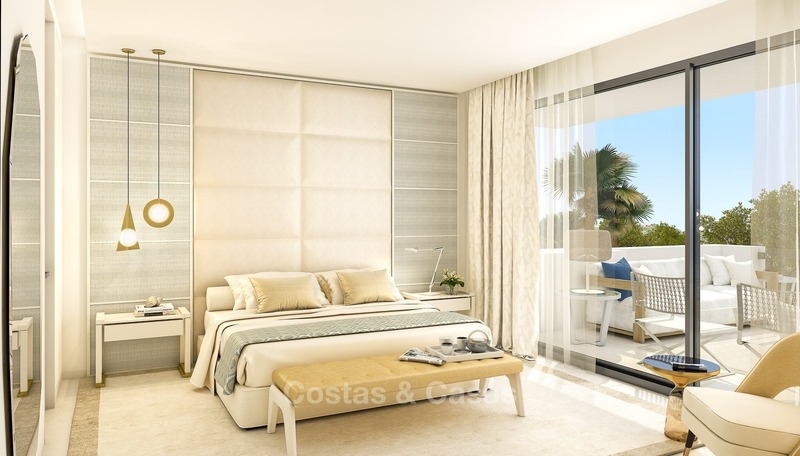 The open-plan interiors are designed to the highest standards and finished with the finest brands and materials. 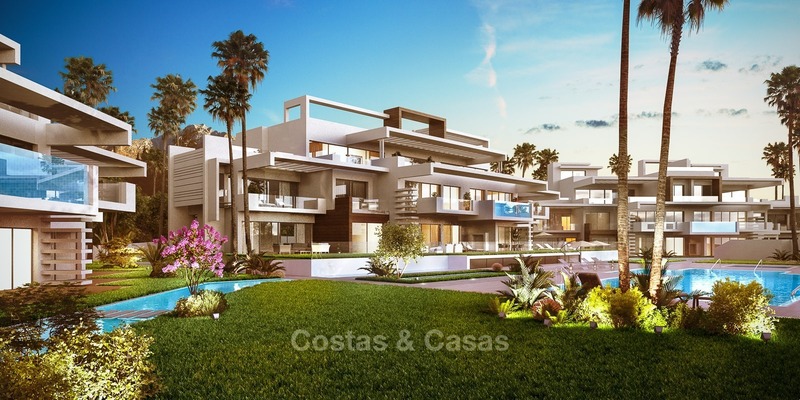 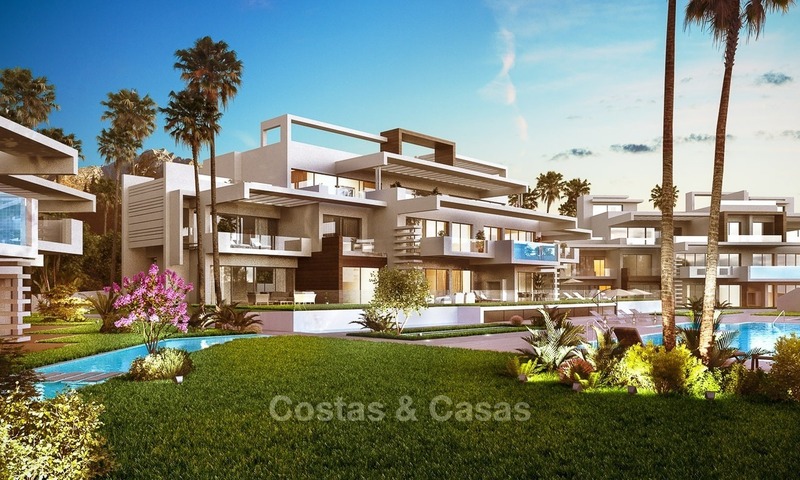 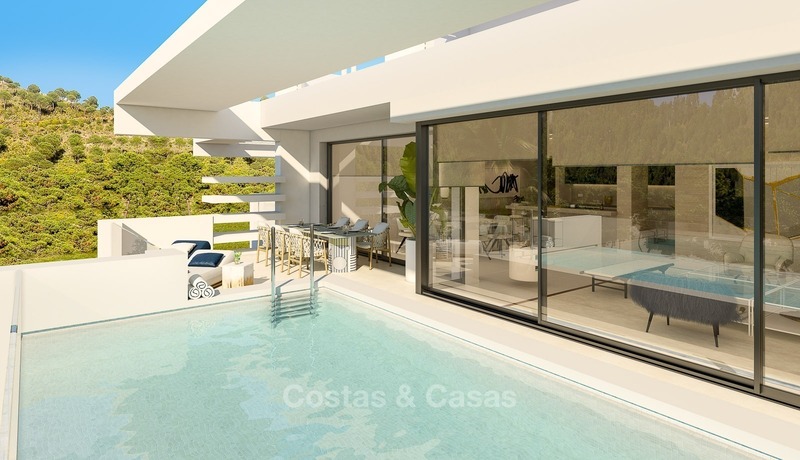 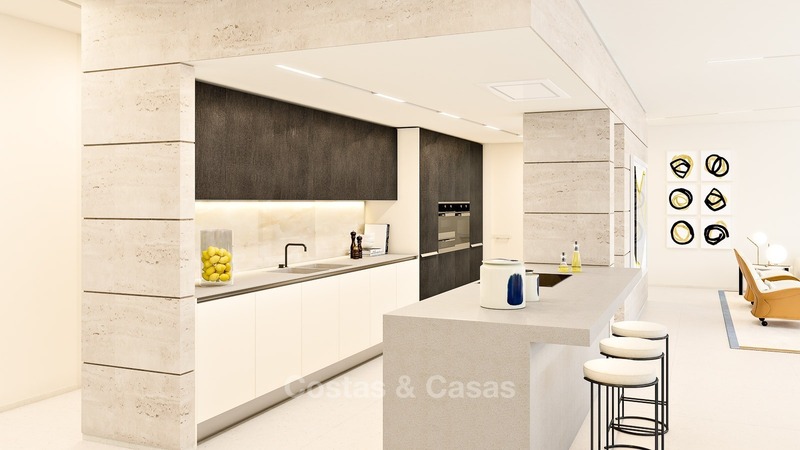 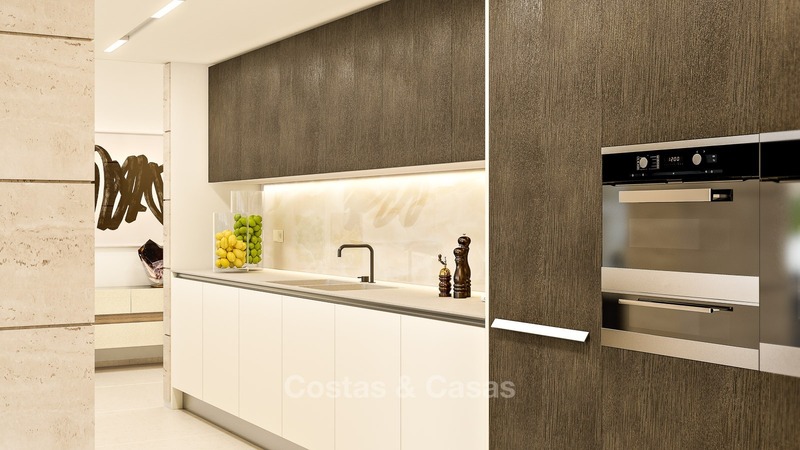 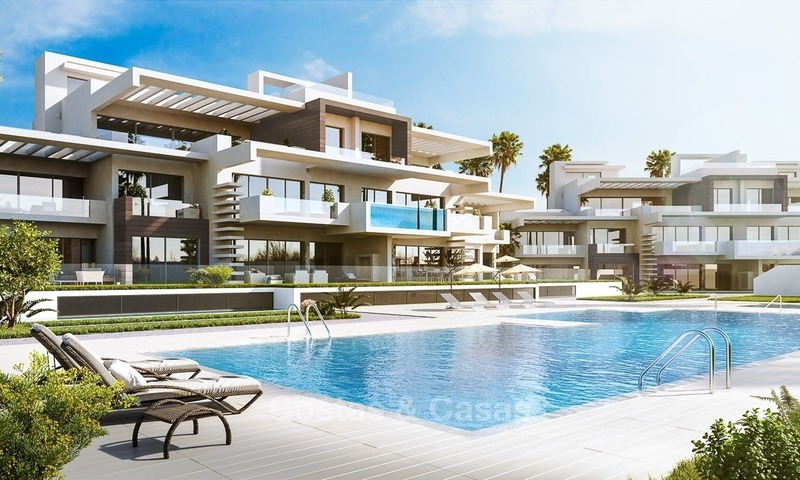 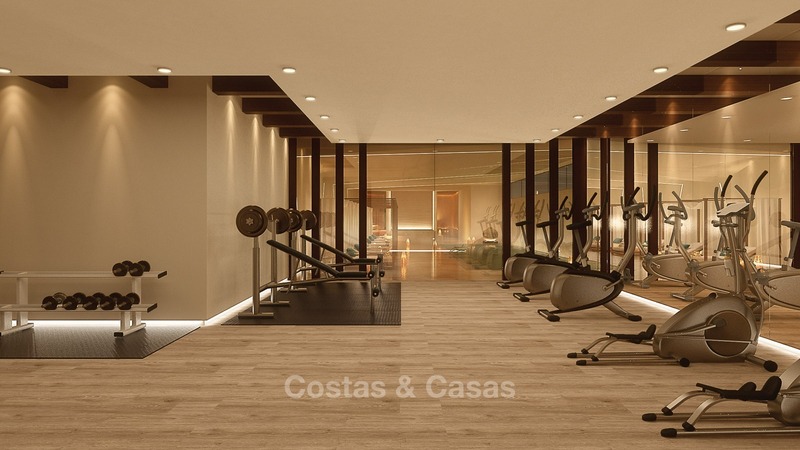 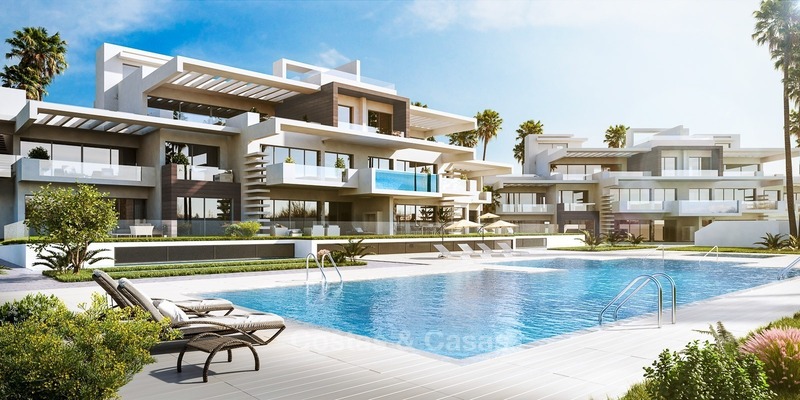 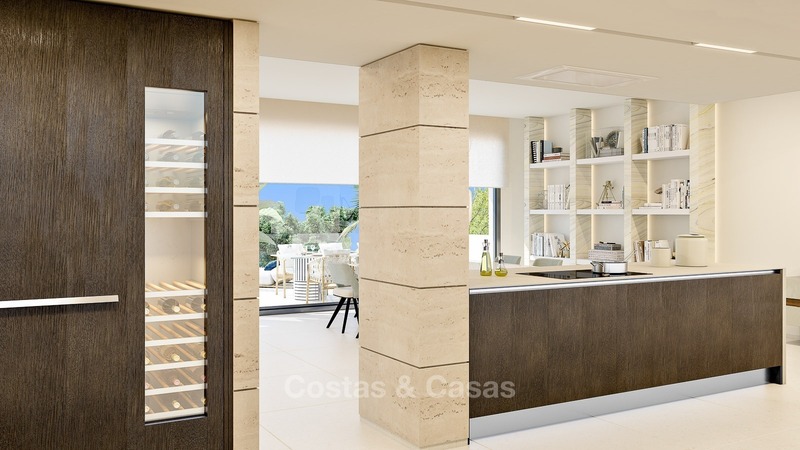 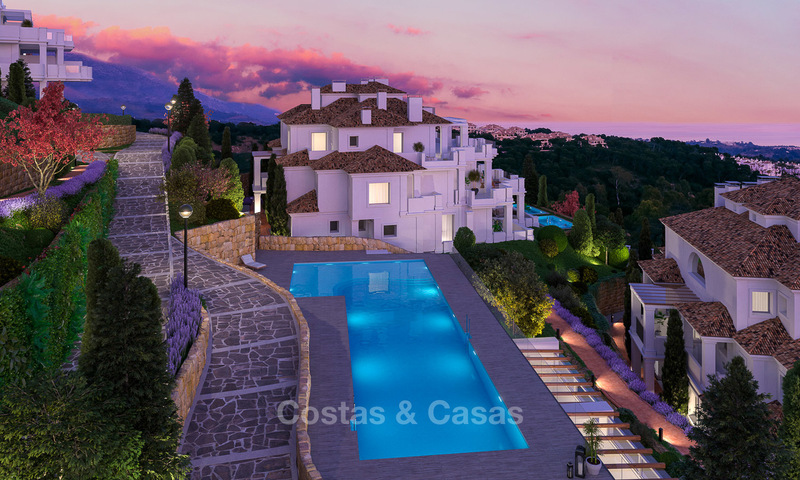 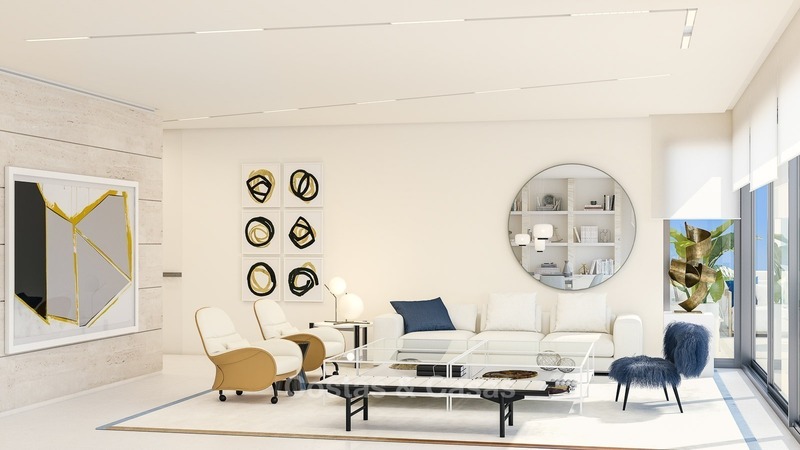 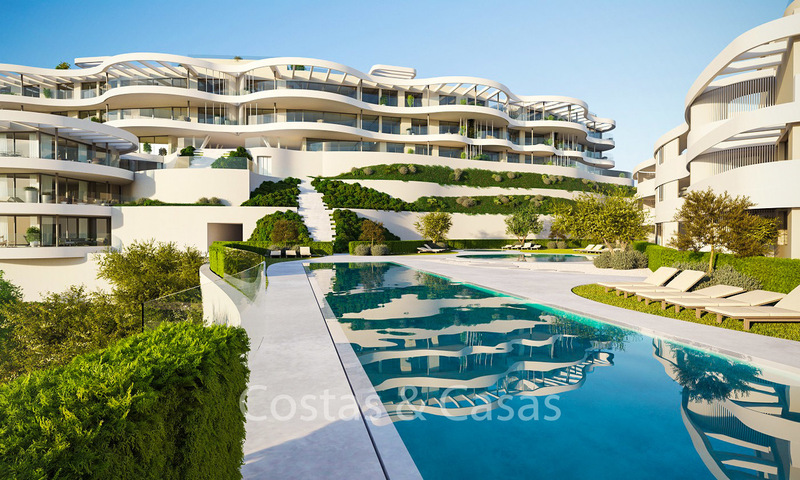 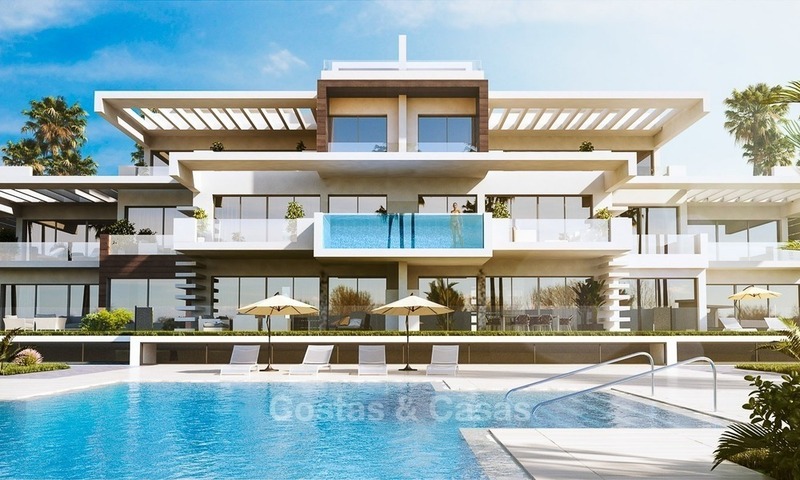 The apartments and penthouses are distributed over 4 low-rise buildings surrounded by beautiful gardens, fountains, a pond and a private park of 9,000m2 with a 1km running track and 2 paddle courts. 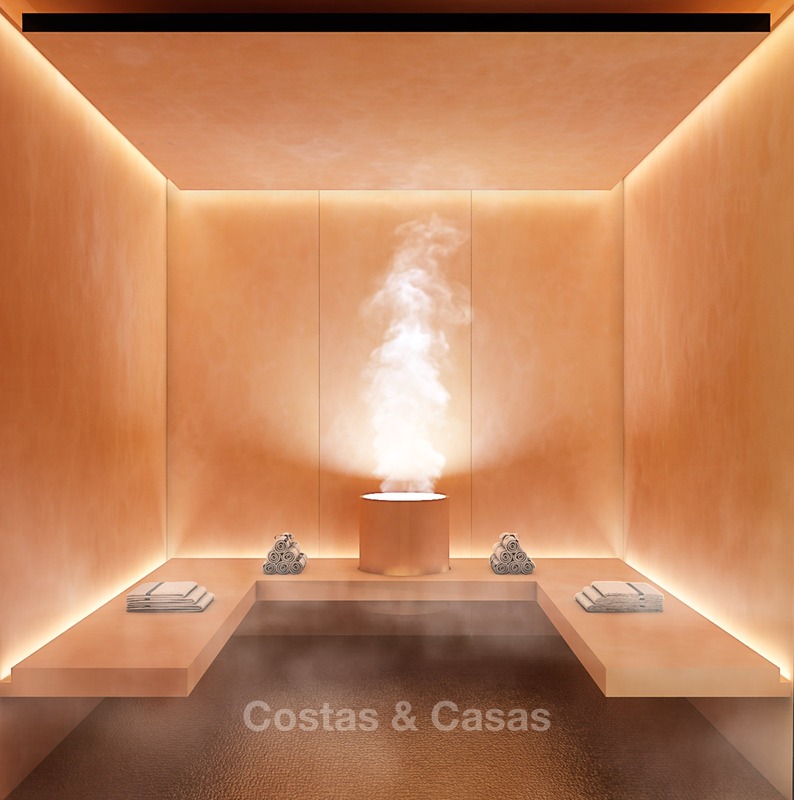 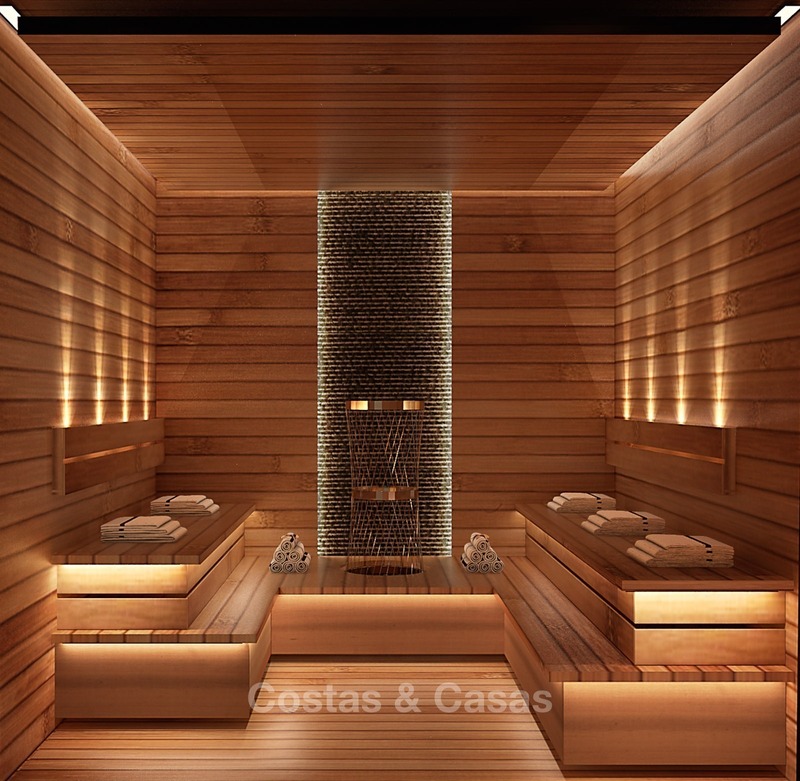 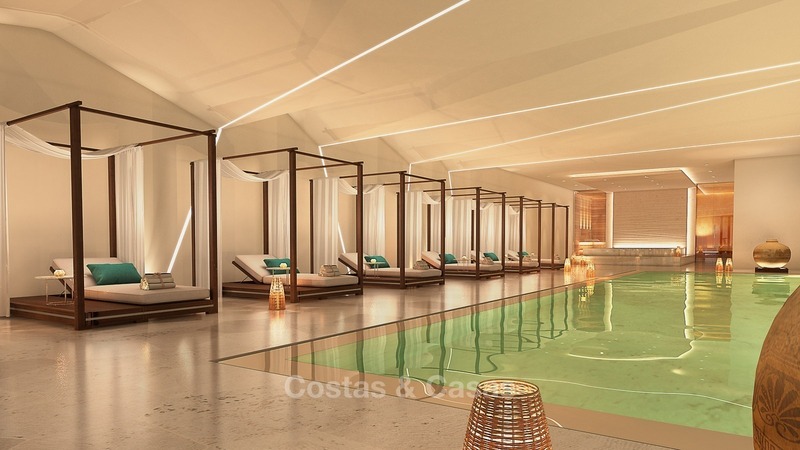 There are two outdoor pools, 1 children’s pool, a pool bar and solarium area, an indoor pool, a fabulous Spa with Fitness Centre, a Jacuzzi, Hammam and Sauna and not to forget, 24-hrs state-of-the-art security. 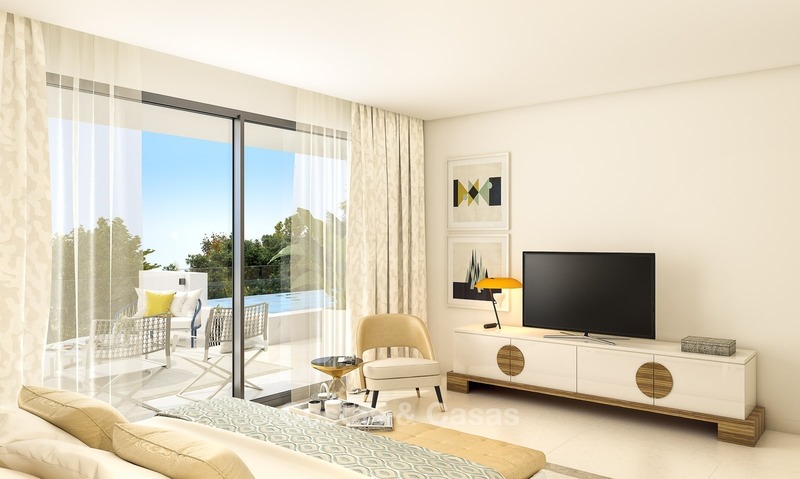 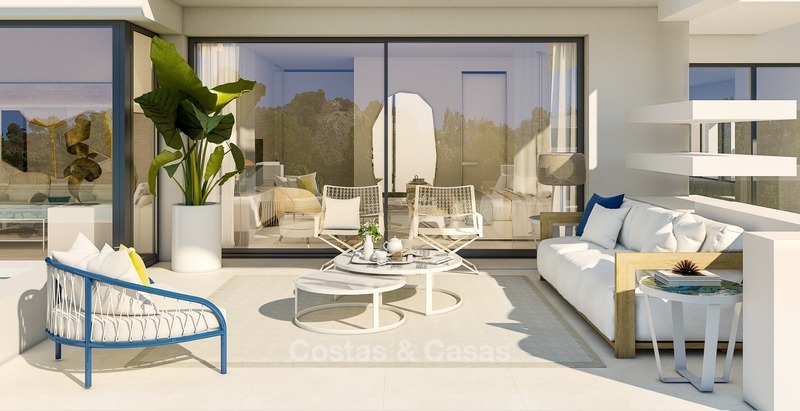 You have a choice of 2, 3 and 4-bedroom apartments, each with a bespoke interior layout. 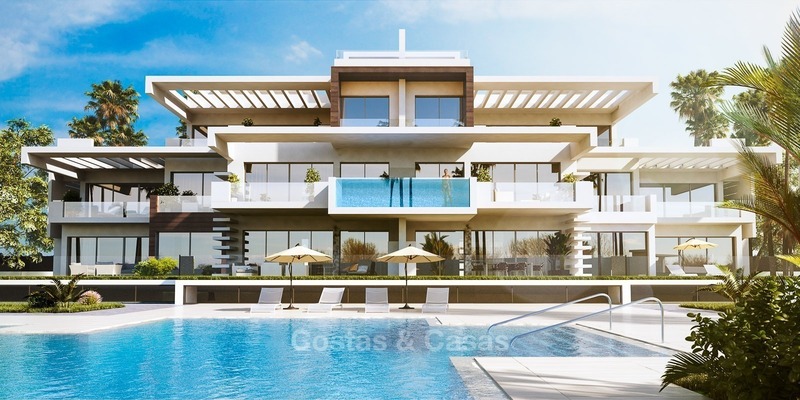 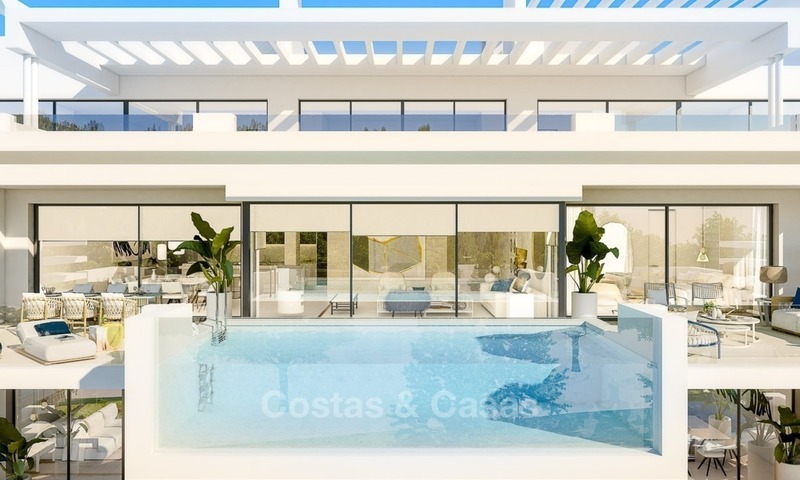 The first-floor apartments and the semi-penthouses feature private pools, the penthouses offer a choice of 3 or 4 bedrooms. 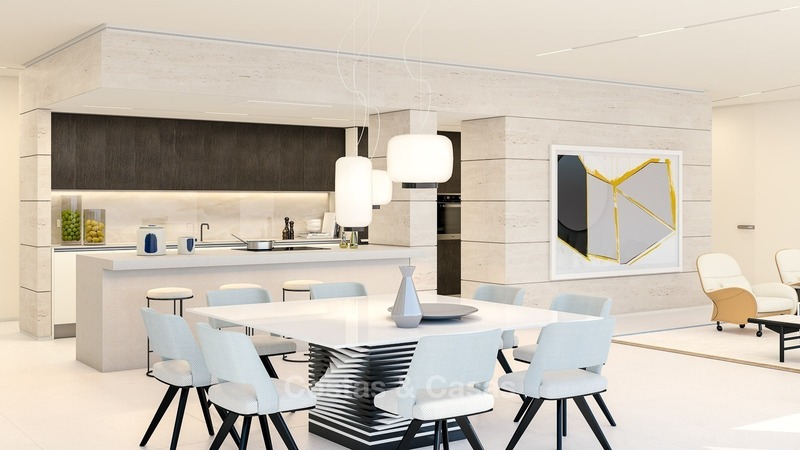 There are 2 double penthouses that occupy the top floors of 2 blocks. 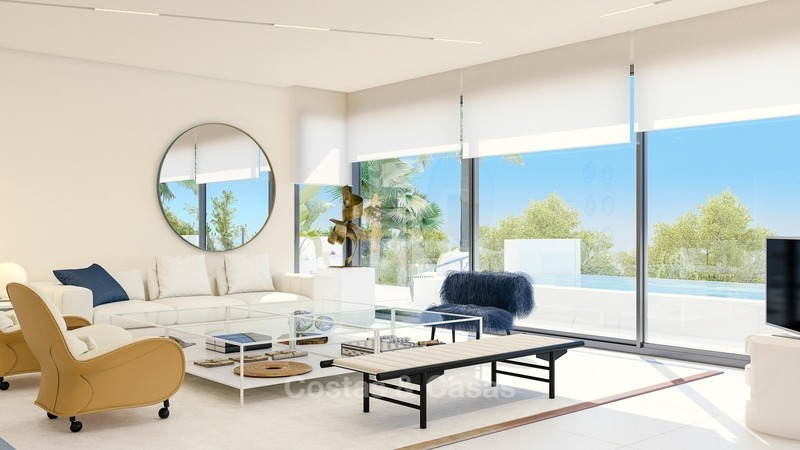 The personal concierge service aims to make your home a five-star deluxe resort, bringing everything from maintenance, interior design, reservations and grocery deliveries to personal chefs and yacht charter right to your home. 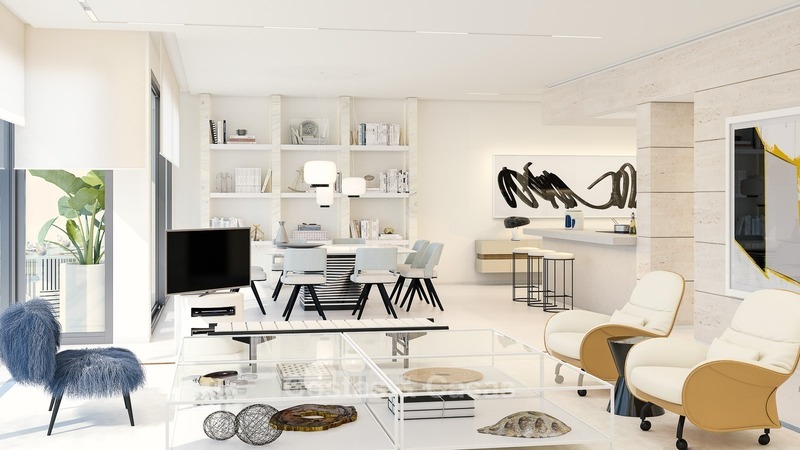 The apartments come with 1 parking space and 1 store room, additional parking is €20,000. 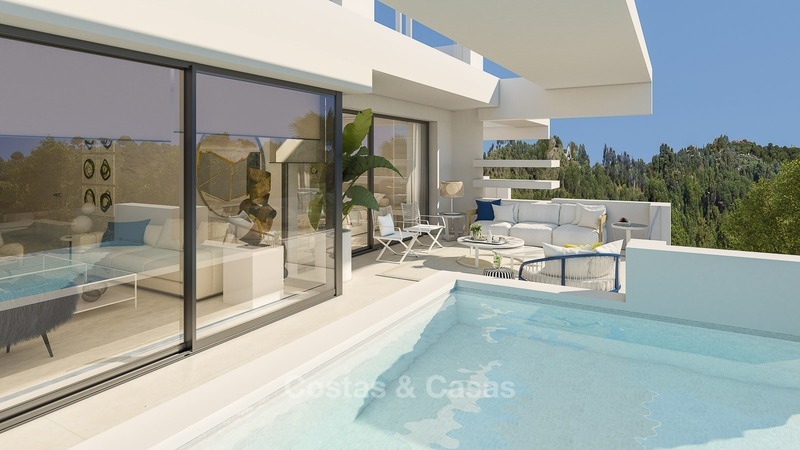 When you sign the Private Contract: 20% plus 10% VAT less the €15,000 paid. 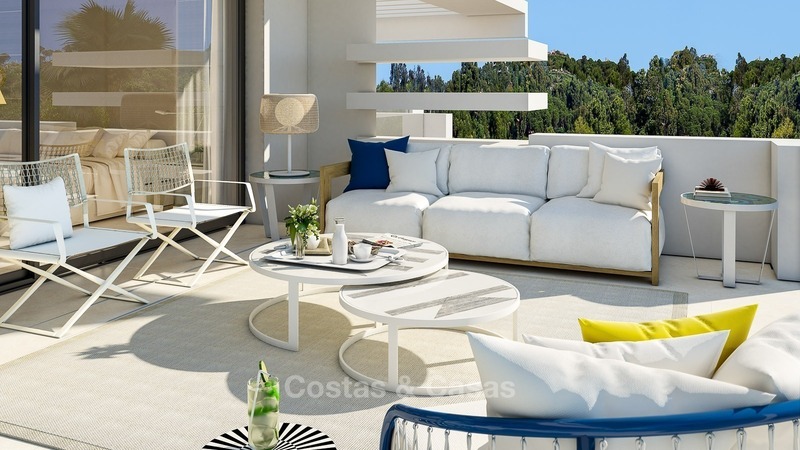 On completion towards the end of 2019 – The Balance of 60% plus 10% VAT.